After nearly a year of confusion and speculation, the Philadelphia 76ers have reportedly agreed to deal 2015 third-overall pick Jahlil Okafor to the Brooklyn Nets. Philadelphia is nearing deal to send center Jahlil Okafor to Brooklyn in deal that involves forward Trevor Booker, league sources tell Yahoo. According to ESPN's Zach Lowe, Brooklyn will also receive Nik Stauskas and the New York Knicks' 2019 second-round pick along with Okafor, in exchange for forward Trevor Booker. 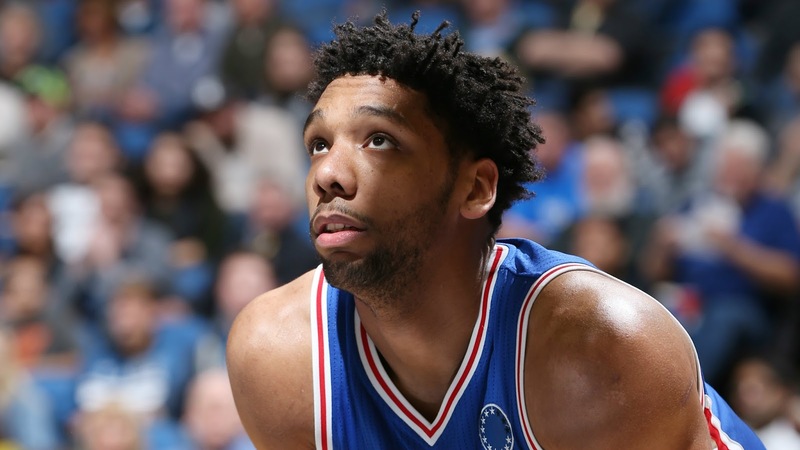 Okafor has rarely seen the floor so far this year, and has played in just two games. Over that time, he's accumulated a total of ten points, nine rebounds, one assist, and two blocks in 25 total minutes. He had an impressive rookie year in which he averaged 17.5 points and 7 rebounds in 53 games before his playing time deteriorated, in part due to extensive injury struggles and an incident outside a Boston nightclub. The 30-year-old Booker has been an important contributor off Brooklyn's bench this year, averaging 10.1 points, 6.6 rebounds, and 2.1 assists while playing some solid defense. Okafor's father was seen wearing a "Free Jah" t-shirt in support of his son during Philadelphia's November 18th loss to the Golden State Warriors, and it appears he has finally gotten his wish; Jah is free, and will have a chance to grow and develop alongside some promising young talent in Brooklyn.